next March 30, 2015 5:11 p.m. They'll measure movement, spit out reliable data, and actively correct your form. Before wearables emerged as the hottest tech sector — before Steve Jobs was even out of high school — athletes were using wearable technology. Back in the mid-'60s, Japanese walking clubs wore simple pedometers, and they promoted a goal familiar to the Fitbit-obsessed: walk 10,000 steps each day. Today, the fitness conscious are still prime buyers of this type of gadget. But the next generation of devices will look less like a watch and more like familiar old shirts and socks. But these workout clothes will do more than just wick sweat effectively. They'll measure movement, spit out reliable data, and actively correct your form. In the future, your trainer might be your T-shirt — and this is what it might look like. Fabric that monitors your movement. Forget counting steps. Xelflex is a complete motion-sensing system built into a wearable garment. Using thin fiber-optic thread, developers were able to make what they say is a comfortable fabric that scatters light when it’s bent. Xelflex’s inventor devised a way to read that light scatter and turn it into a virtual picture of how your body is moving. If a skier, for example, is wearing a Xelflex suit, she could finish her run and watch a digital re-creation of herself getting down the hill, allowing her to see exactly what she did wrong — and where she was right on point. A shirt that tells you to straighten up. The concept for this posture-correcting Pilates shirt was first developed in 2013, and although it's still only a concept, its principles could help a host of athletes. 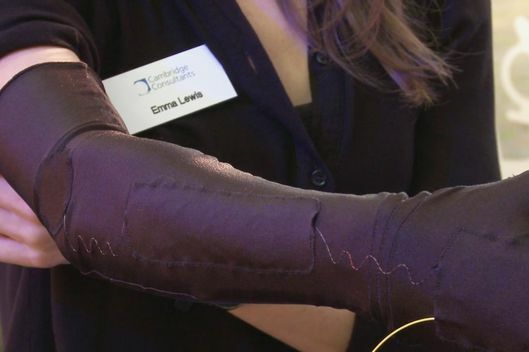 The idea is to create a garment that senses body position and notifies wearers with little vibrations when they’re out of whack. That could mean a small nudge telling you to sit up straight at work, to correct your position during yoga class, or to hold your back straight while swinging a golf club. With no phone or screen to consult, the shirt concept, from design firm Artefact, cuts out the middleman, relaying information directly to the wearer’s body and allowing them to act on it immediately. Socks that give you pointers on your running form. Sensoria smart socks are made with textile pressure sensors that sit on the soles of your feet. 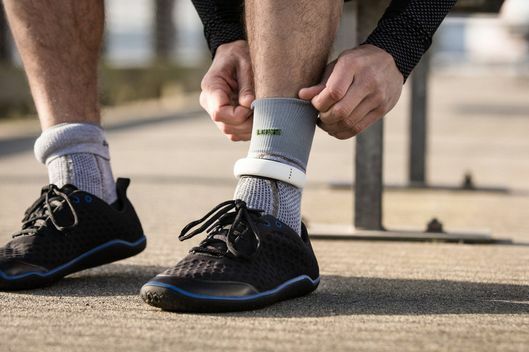 They measure cadence, stride, and speed and connect to an anklet that communicates that information to a smartphone app. But Sensoria system also improves on the passive monitoring of most wearables. It translates that information into audio coaching tips, delivered through your headphones — runners wearing the Sensoria socks get the information in real time and can adjust their running accordingly. A leg warmer that tells you when to ease up. Worn on the calf, the BSX Insight looks inside a muscle to measure lactic-acid threshold. The device works by shooting light into the calf muscle and measuring it as it bounces back. That provides a picture of tissue oxygen saturation, which is used to compute lactate levels. 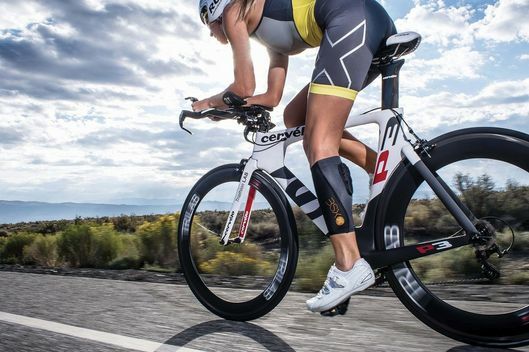 The device communicates wirelessly with a watch to tell runners or bikers when they’re approaching their lactate threshold — the point at which it becomes increasingly difficult to keep going. By actively monitoring their threshold and working to stay below it, athletes can continue training without quickly tiring out.